Carpet cleaning is not a fun chore, but necessary. Whether you hire a professional to clean your carpet or prefer to rent a carpet steamer from your local grocery store and do it all yourself, what matters is that you deep clean your carpet at least once every 6-18 months. Even the Carpet and Rug Institute recommends so. Having said that, if you are to ask for a friendly advice, we would say that it’s much “better” to hire a carpet cleaning service to get your carpet deep-cleaned rather than doing it by yourself. First, professional carpet cleaners are trained and experienced. 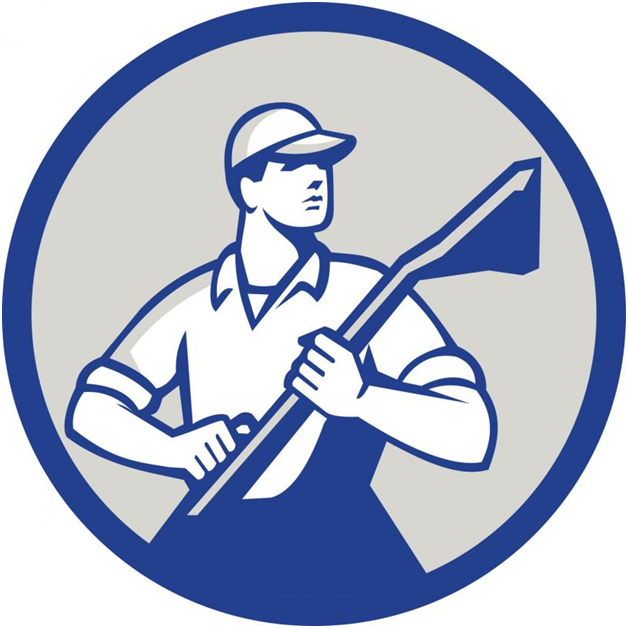 They clean carpets – lots of carpets – day after day. They’re less likely to make mistakes which you are more likely to make, such as neglecting to rinse away cleaning residue or using more detergent than is required for a job. Both these mistakes can leave your carpets uncleaned. They can also cause your carpets to attract dirt at a faster rate post cleaning. Another reason why it makes more sense to hire a professional carpet cleaning than doing the job on your own, is the carpet steamers used by pros are simply much better than what you find at a local store. A professional will use a truck mounted machine to deep clean a carpet. This type of machine is extremely efficient in its application. They can heat the water to a much higher temperature than a domestic-grade carpet steamer, or a portable and they can also help water maintain high temperature. With a domestic-grade carpet steamer, high water temperatures cannot be maintained. We know hot water is essential for effective carpet cleaning and sanitizing. Even the suction power of these machines is higher than that of rented carpet steamers. This leaves the fibers dryer and the carpet can get back in use much faster. Finally, handling of the machine is another important factor. How fast/slow the machine should be moved across the carpet surface, how much cleaning agent should be used, what should be the flow rate of water – etc. etc. All these things a professional would know much better than a DIYer. Yes, we understand what most concerns you and being professional carpet cleaners. I admit that a DIY job is significantly cheaper. That’s why, we have even come up with a solution to ease off your financial concerns. If you are concerned about cost savings, you can hire a professional carpet cleaning service to get only the traffic areas cleaned. The rest of the carpet doesn’t need to be cleaned; it will be covered by your big furniture pieces. Although far from ideal, you can employ this strategy when you’re really short on cash. At most other times, we advise you to hire a professional carpet cleaner. Your carpet is likely to be deep cleaned only once a year, spending that extra bit of money would do no harm and can save you a lot more in the long run by keeping your carpet clean and well maintained.